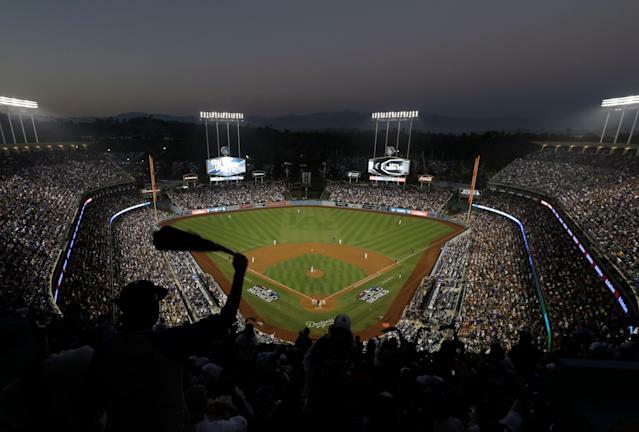 A man suffered a skull fracture and is on life support after being attacked in the parking lot of Dodger Stadium early Saturday morning, the victim's family told NBC4 in Los Angeles. The 45-year-old man was identified by his family as Rafael Reyna. He’s undergoing treatment at USC Medical Center, his wife Christel Reyna, confirmed. Reyna says she was on Facetime with her husband when she heard a commotion and another woman yell, "Why did you do that?" before his screen went black. A number of fights, though less intense, broke out at Dodger Stadium on the second night of the 2019 season. Video footage of fans attacking each other in the left field bleachers made the rounds on social media throughout Saturday. However, the parking lot altercation was not the first time someone has been critically injured in the parking lot following a Dodgers game, even just in recent memory. Almost exactly eight years ago – on March 31, 2011 – Giants fan Bryan Stow was severely beaten following a 2-1 Giants loss in Chavez Ravine. Stow sustained brain damage from the incident and was in a coma for nine months, and has undergone nine surgeries for various conditions stemming from the attack. He now tours the country giving anti-bullying talks, and the two men who beat him were sentenced to four and eight years apiece in state prison, then additional years in federal prison.